Flemington is home to 14 Group 1 feature races each year, with 10 of these taking place during the Melbourne Cup Carnival. 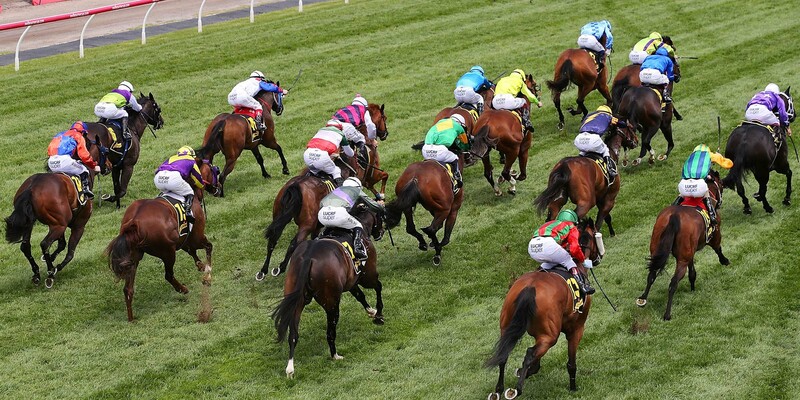 From Autumn's Australian Guineas through to spring's internationally renowned Lexus Melbourne Cup, you can witness the very best of thoroughbred horse racing at Flemington. The coveted Caulfield and Melbourne Cups double is one that only a few horses have managed. It refers to horses who have won both the Caufield Cup and the Melbourne Cup in the one season. Only 11 horses have completed the coveted Caulfield and Melbourne Cups double. The first horse to achieve this milestone was Poseidon in 1906. It would be another 31 years before the next occurrence when The Trump would win the double in 1937. The Derby and Melbourne Cup double is also one that only a few horses have managed. It refers to horses who have won the Victoria Derby and Melbourne Cup in the one season.